Since the big Rottweiler wasn’t an option anymore, I went in a different direction–Frito, the three-year-old Chihuahua mix. What an absolute cutie! Poor Frito was hit by a car a while back, but he’s all better now, running and sniffing like any other happy dog. He jumped into my lap when I opened his kennel in his excitement to go out and behaved nicely while I put the leash over his head. I don’t have too much experience with Chihuahuas, so I thought I might as well try and see if Frito had any interest in playing fetch. Maybe if he had a ball that is more Chihuahua-sized. He sniffed the tennis ball and that was that. 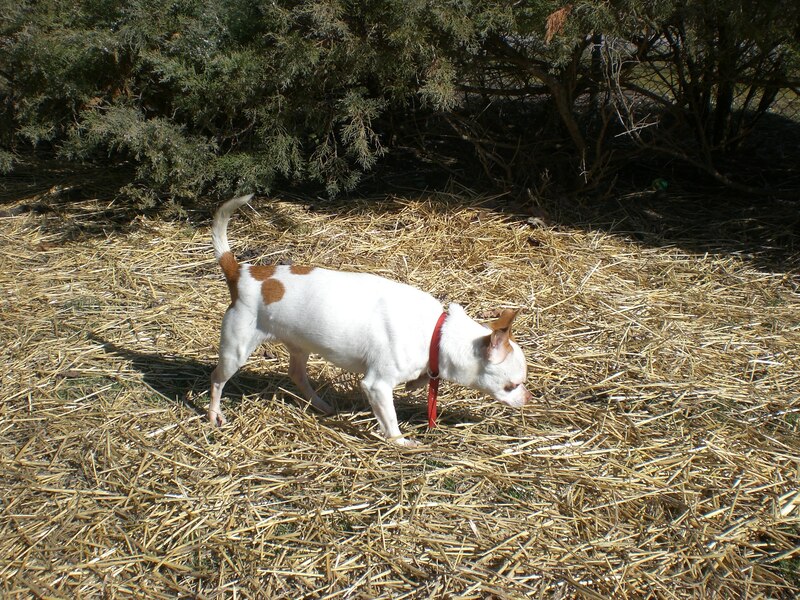 Frito was far more interested in sniffing in the hay. His fur is very soft and very cute, with those brown spots on his back and ears. 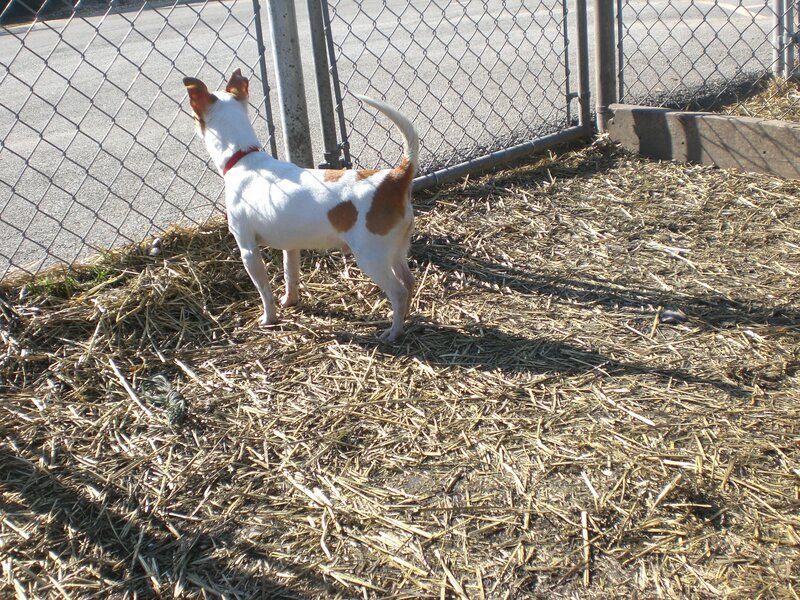 Turn his luck around, and come make a new “furever” friend! Next up was Bella, a six-year-old Pit Bull Terrier mix. 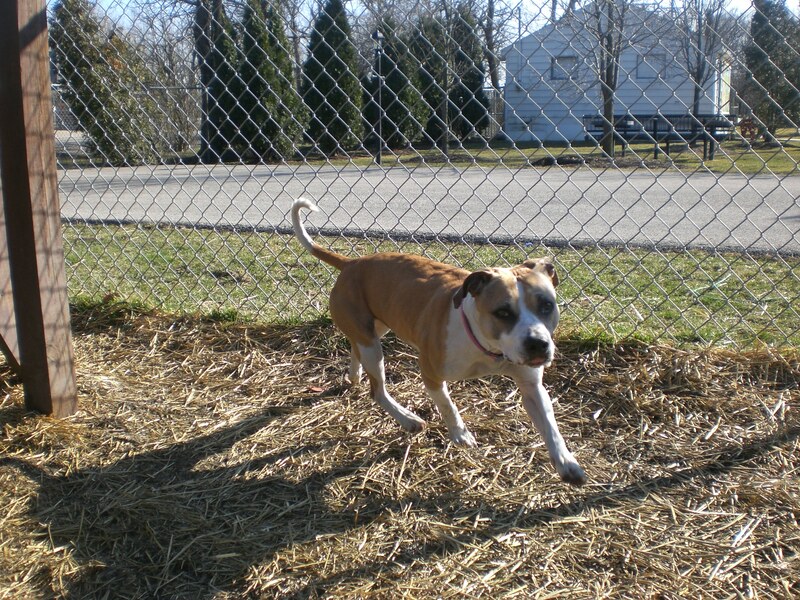 She’s also extremely cute, and smaller than some of the other Pit Bull Terriers at the shelter. She was ready to get outside on this bright, sunny day and explore the run. 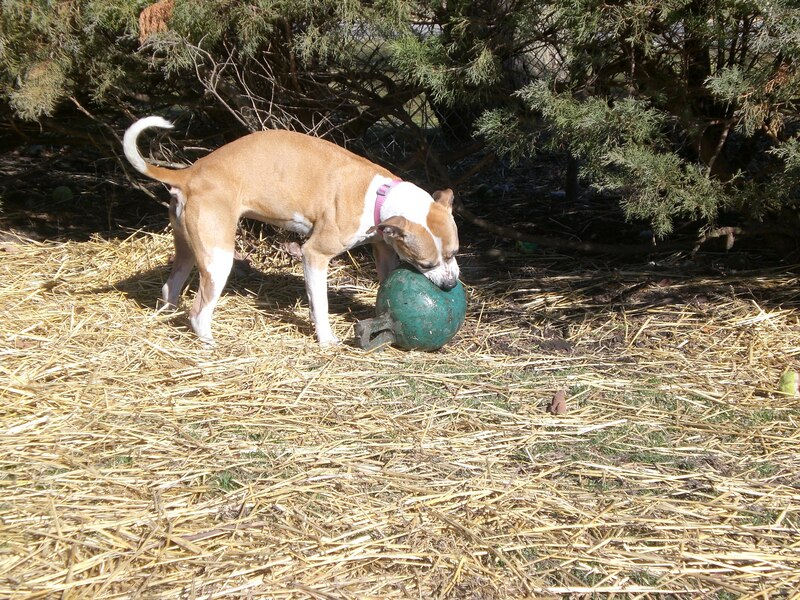 While exploring, she found the same big ball that Chili had such a fun time with last week. 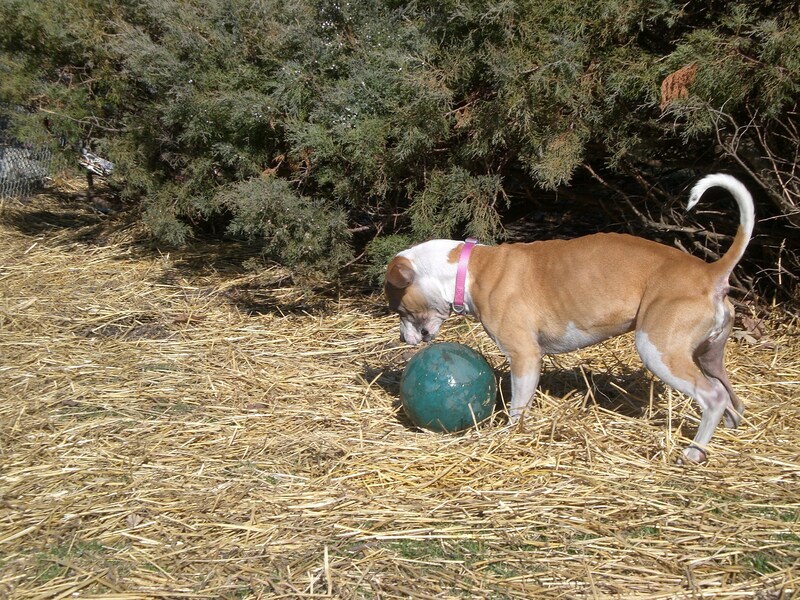 Holding the handle of this ball would have been far too easy for Bella, though. She was convinced that she could get her mouth around it and carry it that way. Instead, she spent most of the time scratching at it with her paws and rolling it along the ground. Bella also discovered a Frisbee under the bushes, and seemed either amused or perplexed by the idea that as much as she scratched at it with her front paws, nothing happened. She eventually realized that if she scratched the edge of it, it moved along the ground. Not nearly as exciting as her ball, though. This silly, playful girl is eagerly awaiting a new home. Maybe it will be with you! 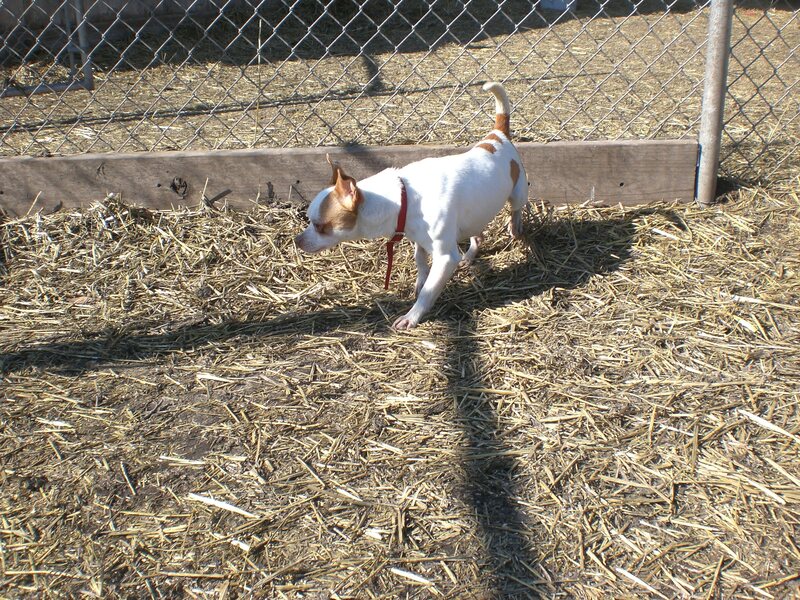 Posted by Meet the Pooches on March 9, 2012 in Dog Profiles and tagged adoption, animal shelter, Chicago, Chihuahua, dogs, Orphans of the Storm, pets.